The Road Back to You Retreat will held at the gorgeous, 5-star Castello Del Nero, located in one of most beautiful parts of Italy. 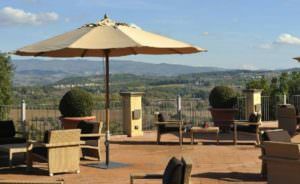 The resort sits high in the rolling hills of Tuscany, in the Province of Siena. For more information, explore www.castellodelnero.com. 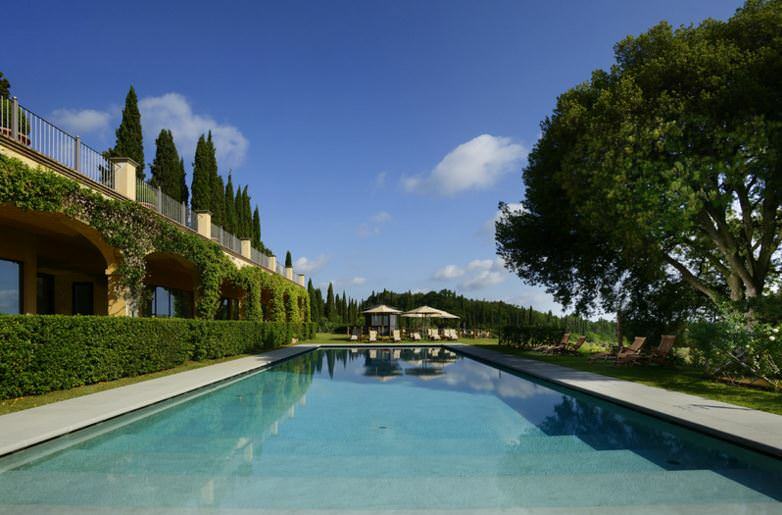 Castello Del Nero is an elegant 5-star resort and spa situated in the town of Tavarnelle Val di Pesa, in the heart of the Chianti wine region. 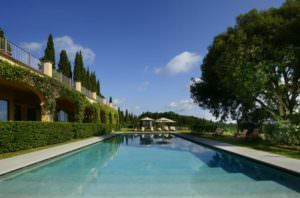 Lovingly converted from a 12th century castle, the Castello del Nero is a sumptuous sanctuary sitting on its own 300 acre estate. The resort atmosphere is reminiscent of a Tuscan palace in former times. The natural beauty of the surrounding area features deep green and gold hills dotted with lush olive trees and bountiful vineyards. It’s a postcard perfect backdrop for our soulful retreat. 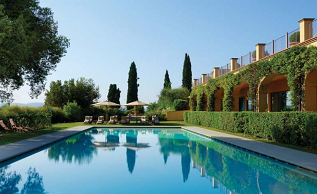 Award-winning Spa: Renowned for its healing, the spa at Castello Del Nero has 5,000 square meters of spa facilities. It offers an incredible range of spa and wellness services, including steeped in traditions of Ancient Mediterranean wellness. Luxury Boutique Hotel: Following meticulous restoration the castle is a treasure trove of original features that have been lovingly brought back to their former glory and is now one of the best luxury hotels in Chianti. Centuries-old frescoes, family crests and enchanting vaulted ceilings bring to life the grandeur of this region’s rich historic past. Richly decorated premises with terraces overlooking fields and verdant hills of brilliant azure, lush green and warm yellow, the hotel has won numerous awards. A blend of Renaissance aura and present-day comfort, this hotel is where luxury meets relaxation and restoration. 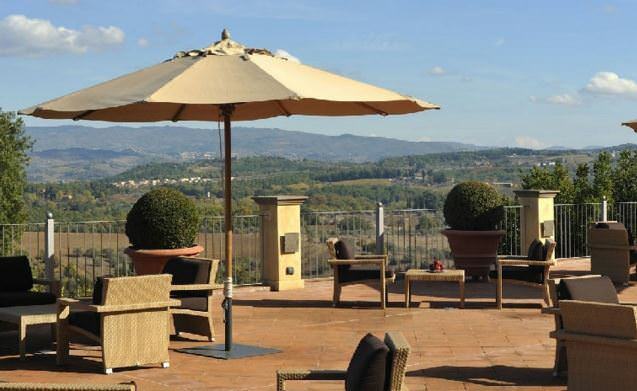 Restaurants & Bars: Offering wonderful views of the surrounding valley, the restaurants and bars at Castello Del Nero serve mouth-watering traditional Tuscan cuisine and a selection of Italian Spa cuisine dishes created from the freshest produce of the beautiful surrounding hills. 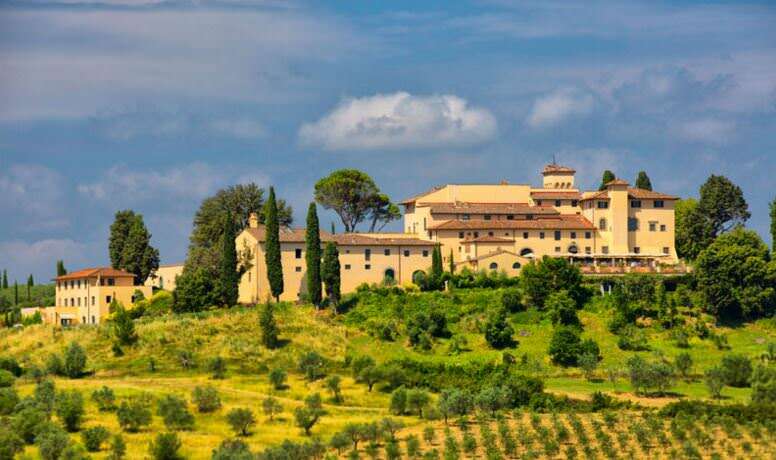 We invite retreat attendees to stay at the Castello Del Nero Hotel as the retreat will be held in a variety of spots in and outside of the hotel grounds. The 5-star luxury hotel features indoor and outdoor dining, cocktail lounge, indoor and outdoor pools, free buffet breakfast, full service spa, and health club. All rooms feature thoughtful touches like bathrobes and slippers, plus free WiFi and LCD TVs with satellite channels. Other amenities available to guests include minibars, room service, and rainfall showerheads. Your room accommodations are included with your retreat investment. The closest airports are Florence or Pisa. 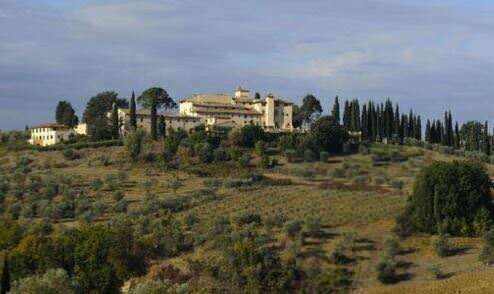 Castello del Nero is located approximately 40 km from Florence airport and 90 from Pisa airport, in the Chianti region of Tuscany. Train tickets can be obtained online through Trenitalia (https://www.trenitalia.com/tcom-en). If you prefer to book car transportation from the airport to the hotel, please let me know when booking your retreat. 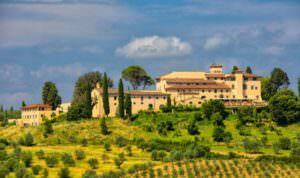 Airport transfers to Castello Del Nero are included with your retreat investment (up to $100 USD per person total).